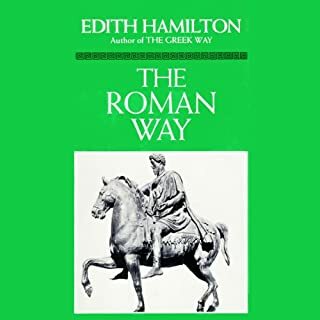 Edith Hamilton shows us Rome through the eyes of the Romans. Plautus and Terence, Cicero and Caesar, Catullus, Horace, Virgil, and Augustus come to life in their ambitions, their work, their loves and hates. In them we see reflected a picture of Roman life very different from that fixed in our minds through schoolroom days, and far livelier. 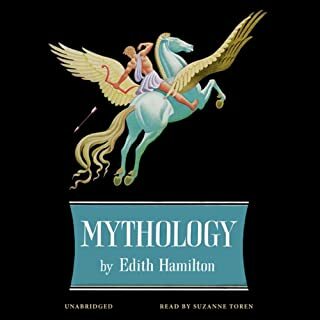 With the clarity and grace for which she is admired, Edith Hamilton writes of Plato and Aristotle, of Demosthenes and Alexander the Great, of the much-loved playwright Menander, of the Stoics, and finally of Plutarch. She brings these figures vividly to life, not only placing them in relation to their own times but also conveying very poignantly their meaning for our world today. 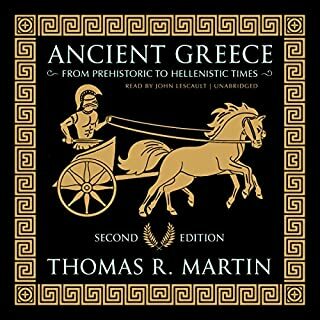 In this compact yet comprehensive history of ancient Greece, Thomas R. Martin brings alive Greek civilization from its Stone Age roots to the fourth century BC. Focusing on the development of the Greek city-state and the society, culture, and architecture of Athens in its Golden Age, Martin integrates political, military, social, and cultural history in a book that will appeal to students and general audiences alike. Now in its second edition, this classic work now features updates throughout. In Empire of Liberty, one of America's most esteemed historians, Gordon S. Wood, offers a brilliant account of the early American Republic, ranging from 1789 and the beginning of the national government to the end of the War of 1812. As Wood reveals, the period was marked by tumultuous change in all aspects of American life - in politics, society, economy, and culture. Translated by W. E. D. Rouse, The March of the Ten Thousand is one of the most admired and widely read pieces of ancient literature to come down to us. Xenophon employs a very simple, straightforward style to describe what is probably the most exciting military adventure ever undertaken. It is an epic of courage, faith and democratic principle. "What the Greeks discovered, how they brought a new world to birth out of the dark confusions of an old world that had crumbled away, is full of meaning for us today who have seen an old world swept away." Based on a thorough study of Greek life and civilization, of Greek literature, philosophy, and art, The Greek Way interprets their meaning and brings a realization of the refuge and strength the past can be to us in the troubled present. Miss Hamilton's book must take its place with the few interpretative volumes which are permanently rooted and profoundly alive in our literature. I will thwart the trend of obsequious unreflective praise of The Greek Way, probably because I have read it's original thesis in The Echo of Greece. Essentially, TGW includes more tragedy and Comedy than did EOG and much more of the inessential in the bargain. EOG focuses on that which is essential about ancient Athens: her philosophy and her sense of what a democracy is supposed to be. Nothing else really matters in conparison, no matter how many ruminations Hamilton makes on the supposed Greek core sensibility and the like. Hamilton, it pains me to say as a fellow admirer of ancient Athenian culture, is unduly biased toward all things Greek. 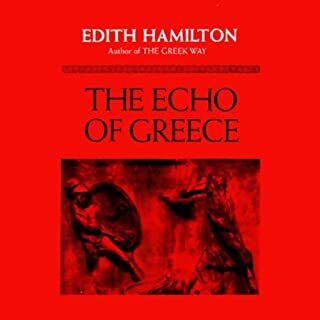 Her work was worthwhile, but Echo is the better and miore lasting testament to the Ancient Athenians we are all thinking of. Pound for pound, there is certainly no comparison. 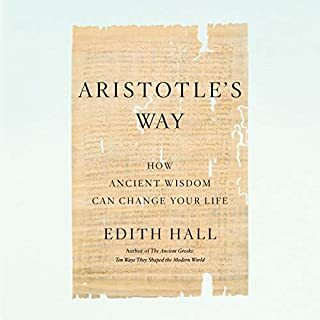 Echo hands down more efficiently and elegantly defines the ancient Athenian ethos that Americans and Europeans (and all students of democracy of philosophy) look back to for inspiration and guidance. I heard of this work in a quite different audible book, Landslide by Jonathan Darman, about Reagan and LBJ in the mid-1960s. In that book it was related that, after JFK was shot, brother Robert found much solace in The Greek Way. (I'm fascinated by the whole Kennedy saga, though by no means a fan of the main characters.) What the heck, thought I, I can always use a bit of solace, and a bracing visit with my western heritage, etc., by an unapologetic author, as a contrast to the cheap shots constantly heard nowadays. And I suppose this fills the bill. It is in its way probably a mirror of the sort of Homeric, heroic tone one might have heard directly from these intensely enthusiastic Greeks. And there is much artistry and beauty in it, if a big helping of that is what is desired. It depends on what a listener wants. Edith Hamilton was no slouch at composing a sentence or bringing some uplifting sentiment or sparkling and inspiring image to these scenes. I guess I am spoiled at present though, preferring a less strident ease of declaring what is what (and leaving out various troubling facts known better to more modern scholarship); I want the whole story and a balanced one, and I like a more patient scholarship that builds its case with implacable logic. But I do consider it vital that, in my own university days, I had at least a few great professors of this sort. Because that energizes everything else, all the later paths that can open to a person who has exulted in these sorts of things. A LOVE of scholarship, I owe to earlier exposure to people like this. 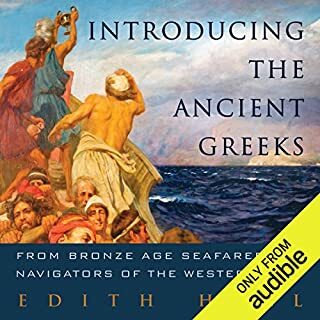 Where does The Greek Way rank among all the audiobooks you’ve listened to so far? 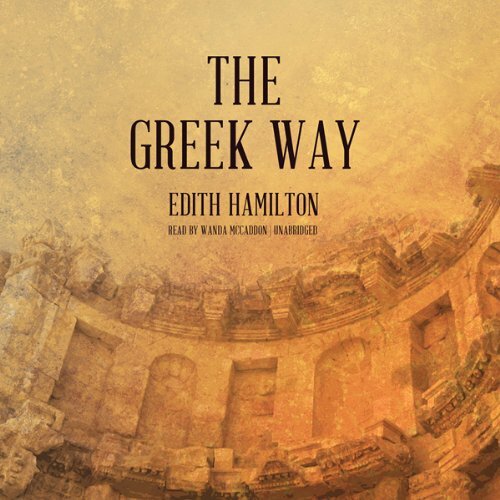 I like to read Edith Hamilton. However, if your annoyed by the "compare and contrast" method of scholarship (I think its very outdated myself) you wont like this. Mrs Hamilton has a strong need to compare cultures and thus extract the truth shes looking for from the contrasts. The problem is that the generalizations she must inevitably make for this type of approach can be wide sweeping and fairly wild, and thus the conclusions she reaches based on these generalizations become merely subjective. Often you may find yourself disagreeing with her. One area in particular I disagree with is Hamilton's conclusions regarding Ancient Egypt. Explaining the Egyptians preoccupation with death (as she puts it), she attributes this to the fact that Egypt was mostly a place of misery and toil, thus producing in the culure a certain yearning for the next life and a certain salvation in death. Whereas, on the other hand, you have Hamilton's Greeks, portrayed here as a youthful, playful and life affirming culture, centered on the here and now. This is wildly inaccurate. The Greeks themselves -Solon, Euclid, Pythagoras, Plato, Herodotus-who traveled there at different times, and acknowledged Egypt as the richer, deeper and more profound culture in every case. The Greeks who made their way to Egypt returned to "revolutionize" their respective fields of science. However, they were merely translating the knowledge of the Egyptians. The Greeks saw themselves more as children when they compared themselves to the Egyptians. All of her sciences had their origins in Egypt, the Greek Gods themselves had their origin in Egypt. Egypt was several thousand years old by the time the Greeks came into their ascendancy. Far from misery and toil, the Egyptian land was abundant, the society was rich and vibrant. Why do you thing Egypt was the breadbasket for the entire Mediterranean even into Roman times? She was the hub of Mediterranean trade. The view of slaves toiling to build the pyramids is so outdated to be comical now days. Egyptian concepts around death were not the attempts of a desperate people to escape the chains of misery, but a highly developed science of the soul which revealed a deep understanding of the nature and immortality of the soul and the possibility for perfection in this life and the next. Anyway, sorry for the rant, but that's one example that I can provide to show the dangers of this type of compare and contrast history. Still, its a fun listen. Nadia May is great, the book is immersive, and there is still a lot of great info in here. i found this book, to be more than i expected. i found very fascinating. i was looking for a book on mythology and got the entire of greek history and it's relavance to our modern western beliefs. This is a must buy for study the Golden Age of Greece. As with all study or simple enjoyment of history, context is important. This book provides a good insight to the ancient Greek mindset and then an understanding how / why they reacted. Honest comparison of east and west world views..